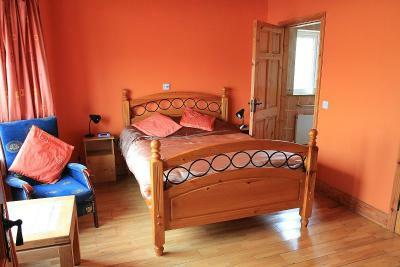 Lock in a great price for Douglasha House – rated 8.9 by recent guests! 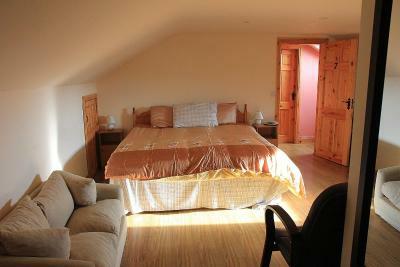 The friendly owners, the quiet location, the great breakfast, large room, and more. Joan was a wonderful hostess! Very helpful and an awesome cook! 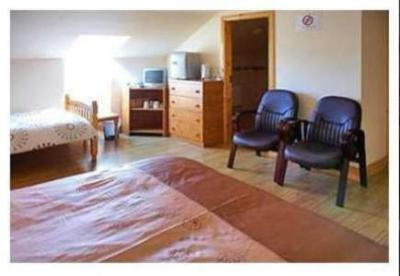 Pleasant, clean and friendly accommodation convenient to Kilkenny attractions. Hosts were very helpful and welcoming, striving to provide a good quest experience. The accommodations are lovely, and Joan was super helpful! 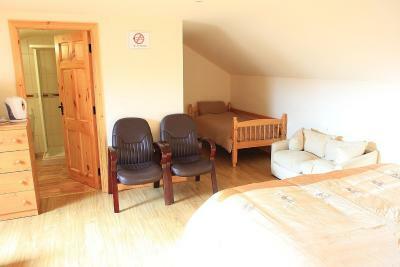 Room and bathroom were clean and comfortable with many extra amenities. Joan made us an amazing breakfast, and made us feel at home. She was extremely helpful with advice for sightseeing in the area. (Thank you for the recommendations to the Gap of Dunloe and Valentia Island! We enjoyed both!) I highly recommend Douglasha House! We also enjoyed our evening meal at the pub down the road. Thank you Joan and family! Our room was clean,comfortable and well appointed. The shower gets a full 10, perfect. The breakfast was over the top good and a great way to start the day and do the Ring of Kerry. Very nice and welcoming. Helpful in answering questions. Good people. The breakfast was wonderful! The host was great and made us some warm eggs! Easy to find and park! 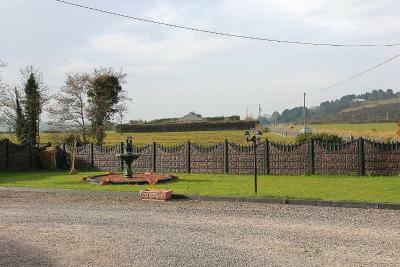 Ideal location in rural setting away from traffic and congestion and still close to Killarney and Tralee. The hostess is welcoming,hospitable and friendly.Her musical voice is very attractive and unique-a typical Kerry accent which is most appealing! Very hospitable and welcoming! They went above and beyond, met us at the station and gave us a ride back into town the next day! Breakfast was wonderful, so was the shower! I can’t say enough good things about our stay here, I strongly recommend!! Douglasha House This rating is a reflection of how the property compares to the industry standard when it comes to price, facilities and services available. It's based on a self-evaluation by the property. Use this rating to help choose your stay! 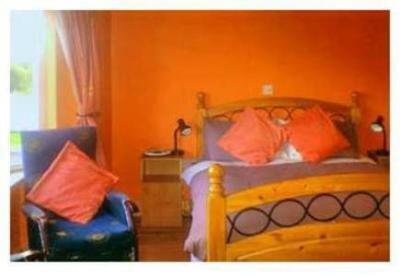 Offering stunning views of the Killarney Mountains, Douglasha House has colorful rooms with free Wi-Fi. 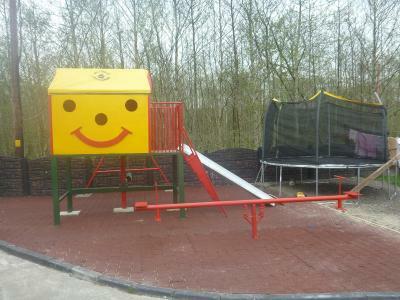 The guest house offers traditional Irish breakfasts and a children’s playground. Rooms at Douglasha feature TVs, radios and fridges. They also include ironing equipment and tea/coffee-making facilities. Guests also have access to a mini-kitchen and kitchen utensils. Linen and towels are provided. There are plenty of walking routes surrounding the guest house, and the foot of Mount Carrantouhill is just 5 minutes’ away. 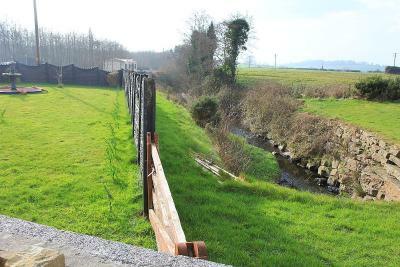 Cycling and fishing are available locally and Killarney town center is a 10-minute drive away. 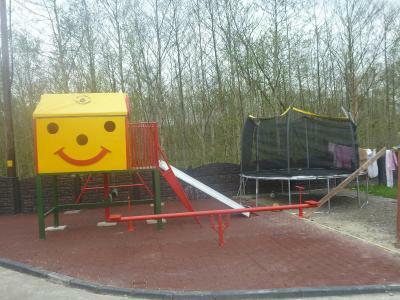 The enclosed playground has swings, slides and a trampoline for children. 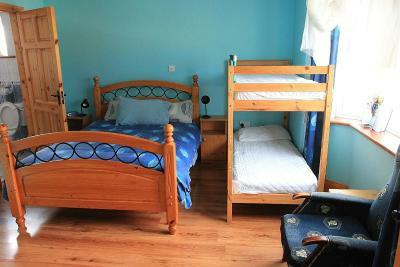 The guest house can provide buggies, cots and a babysitting service. Douglasha has free kennels for pets. Traditional Irish cooked breakfasts are served each morning and there is a local pub within a 10-minute walk offering evening meals. Douglasha can prepare packed lunches for guests’ excursions. 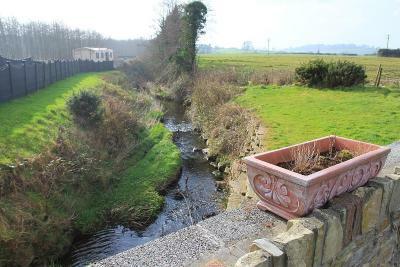 This property is also rated for the best value in Fossa! Guests are getting more for their money when compared to other properties in this city. When would you like to stay at Douglasha House? 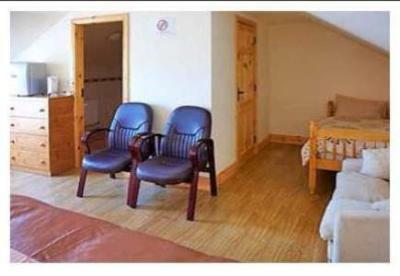 This room is suitable for 4 adults or 2 adults and 2 children. 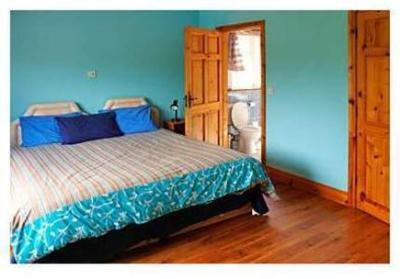 It features an private bathroom, a fridge, a satellite TV and tea and coffee making facilities. A king-size bed, private bathroom and a satellite TV are featured in this room. 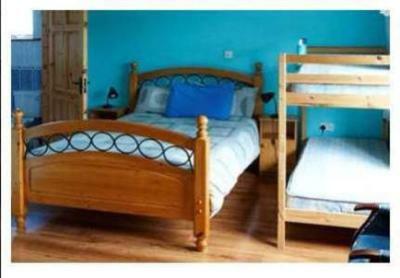 This room has 1 double bed and 1 bunk bed. 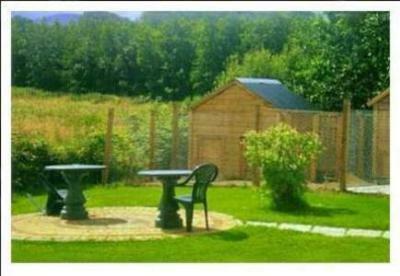 It has an private bathroom, tea and coffee making facilities, a satellite TV and a mini fridge. 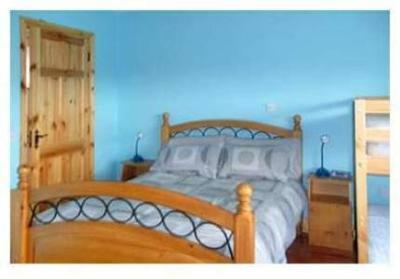 This room with attached bathroom includes a double bed, tea and coffee making facilities, a satellite TV and a mini fridge. 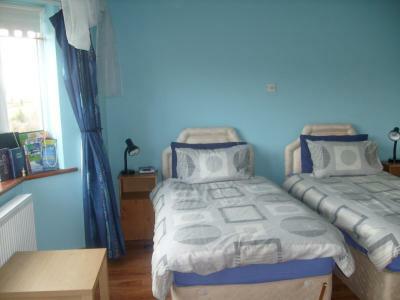 This room has access to a shared bathroom, which is next door and shared with 1 other double room. This apartment features a view, satellite TV and washing machine. A breakfast is included with this room. 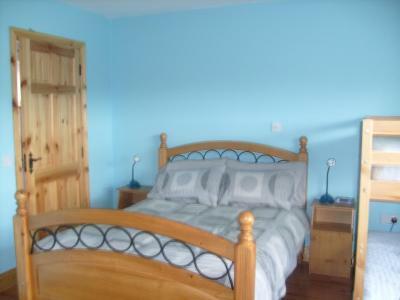 Dromin Hs is a large 3 bed farm House totally renovated this year 2015.It have 3 very large family rooms ensuite.Each room have a double bed and a trible Bunk [1 double/1single bed] so all rooms sleep 5.There is a shared kitchen/Dining/seating area. House Rules Douglasha House takes special requests – add in the next step! Douglasha House accepts these cards and reserves the right to temporarily hold an amount prior to arrival. Guests need be quiet between 12:00 AM and 8:00 PM. Airport transfers cost EUR 30 to return to Kerry Airport, or EUR 15 for one way. Guests are asked to confirm the airport shuttle directly with the hotel. Please inform Douglasha House of your expected arrival time in advance. You can use the Special Requests box when booking, or contact the property directly using the contact details in your confirmation. Everything was perfect. It felt like home. We stayed in a double room. Room was cozy and clean and really spacious. Really would have liked to stay longer than one night. Breakfast was good. You can choose how you want your eggs and there is yogurt, cereal, toast, fruit. Joan is so friendly and helpful. Really recommend!!! The owner was incredibly kind and friendly. Have us great info on Valentia island and the ring of kerry. Joan the lady of the house, was and is an absolute gem, quiet understanding with an infectiously life affirming view on the world. The lady was very nice person and kind! She makes us feel like home! The breakfast was very good! Joan is super nice! So welcoming, kind, and helpful :) She even picked us up at the train station to avoid the taxi fees. Lovely warm welcome. Great facilities. Super room. Lovely place to stay in great location. 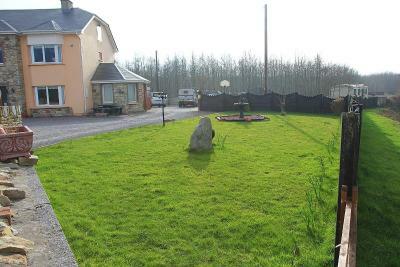 Very welcoming, friendly and quiet B&B. Would highly recommend to families with kids. Pet friendly, room is perfectly sized and equipped. a lovely breakfast to set you up for the day Joan was a lovely host and made my stay welcome. I would stay there again.